ITEM #075: Modern abstract style glass panel. The panel with frame is 14" by 14". 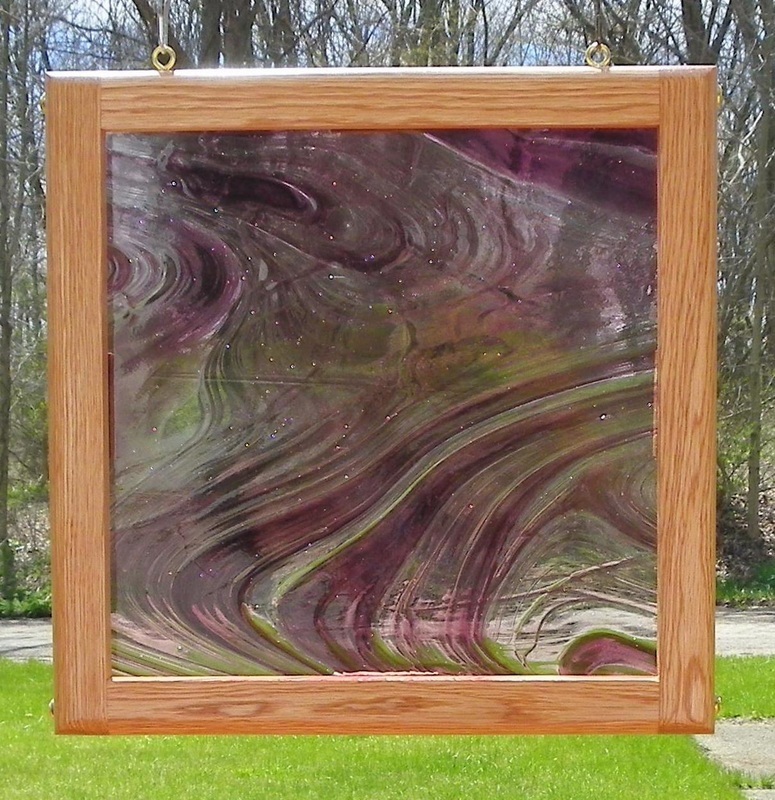 The frame is made from red oak with ipswich color stain. Price is $35. ITEM #086: Modern abstract style glass panel. The panel with frame is 14" by 14". The frame is made from red oak with ebony color stain. Price is $30. 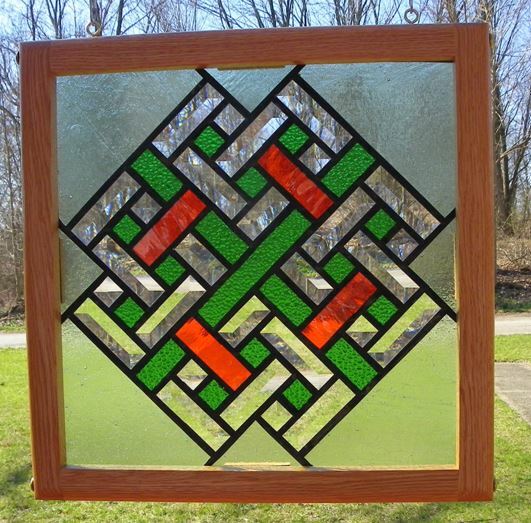 ITEM #100: Modern celtic design glass panel with glass bevels. The panel with frame is about 15" by 15". 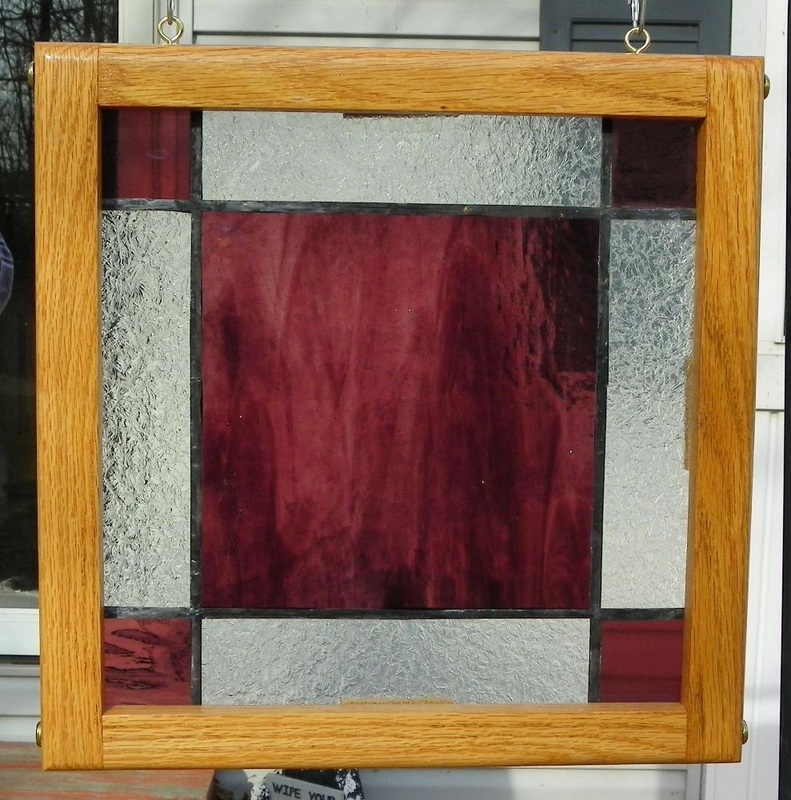 The frame is made from red oak with an ipswich color stain. Price is $80.